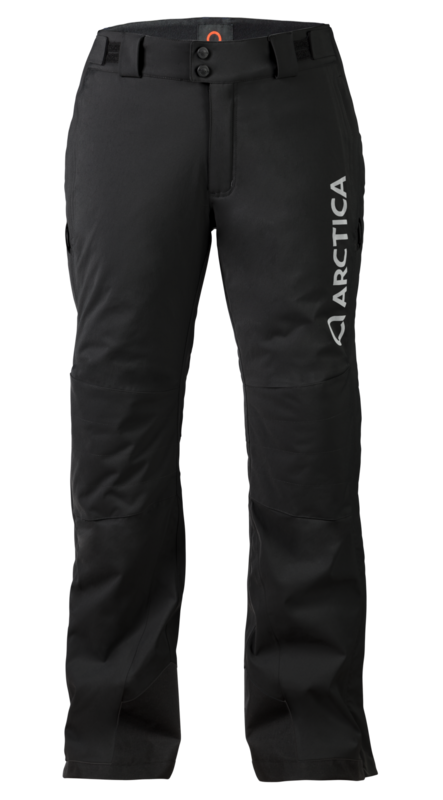 The Arctica Speedster Side Zip Pant is premier performance for the most demanding alpine athlete. Constructed of durable FLEX10 two way stretch waterproof /breathable fabric. FLEX10 is our exclusive fabric of 95% nylon for durability and 5% Lycra for comfort. ALL seams fully taped. Trim, precise racer fit. Insulated with HEAT40 synthetic insulation for warmth. Interior build includes DURALITE, a 20 denier nylon fabric that is very soft, lightweight and slips on easily over your speed suit or layers. Two exterior zippered handwarmer pockets, and full length covered side zips for quick removal. Ultra comfort suspenders with side mount. Reflective logos for safety.